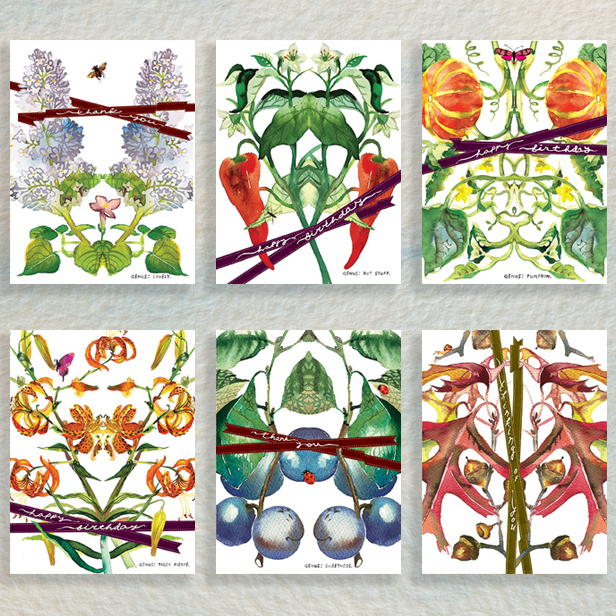 Twelve Months celebrates nature with a beautiful note card for each month, perfect for any occasion! 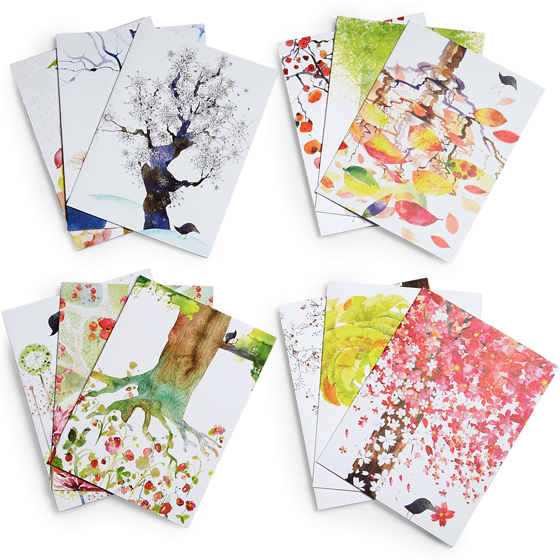 Born out of Masha’s love for nature, these stylish and unconventional greeting cards bring a refined sense of botanic whimsy to your correspondence. 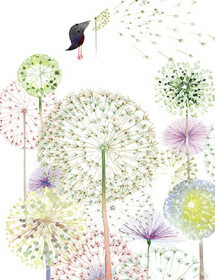 Follow the little black bird as he plays among the wonders of trees changing through the seasons. 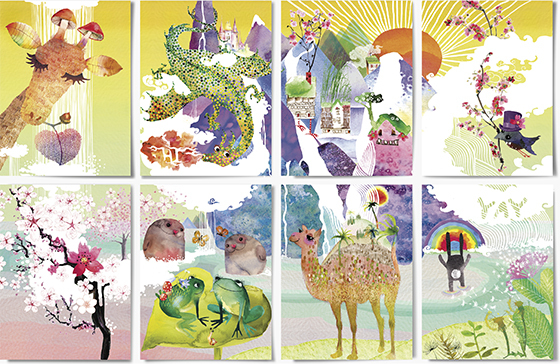 In the box, you’ll find twelve glorious cards. Offset printed with soy inks on luxuriously heavy, bright white 100 lb. 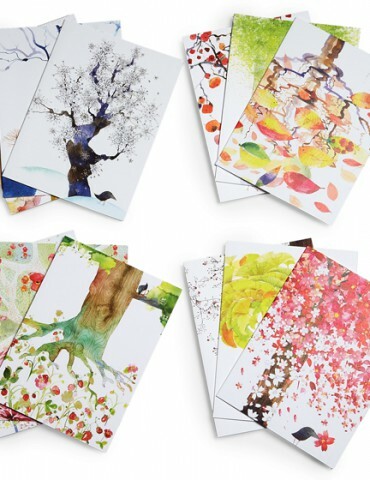 uncoated cardstock, each card measures 4.5×6 inches folded. The interior of these cards are blank. Packaged in a clear box. 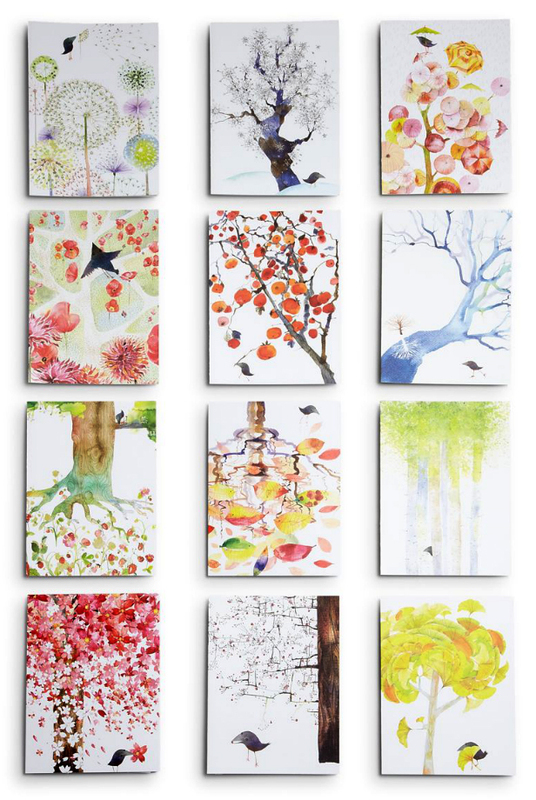 See all the Tree Bird Months Cards and purchase individually.